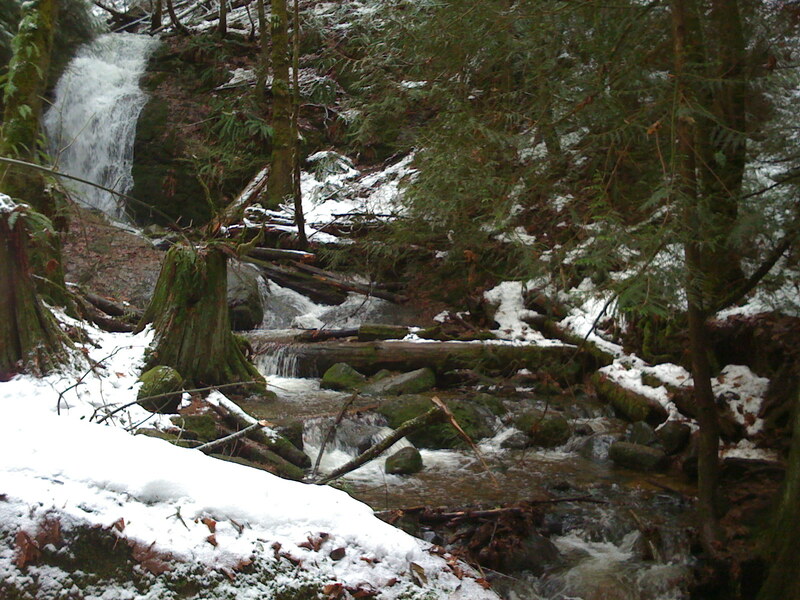 I ended up taking a second hike to Coal Creek Falls a couple weeks ago and recorded some video while I was there. Coal Creek Falls from Erik Persson on Vimeo. 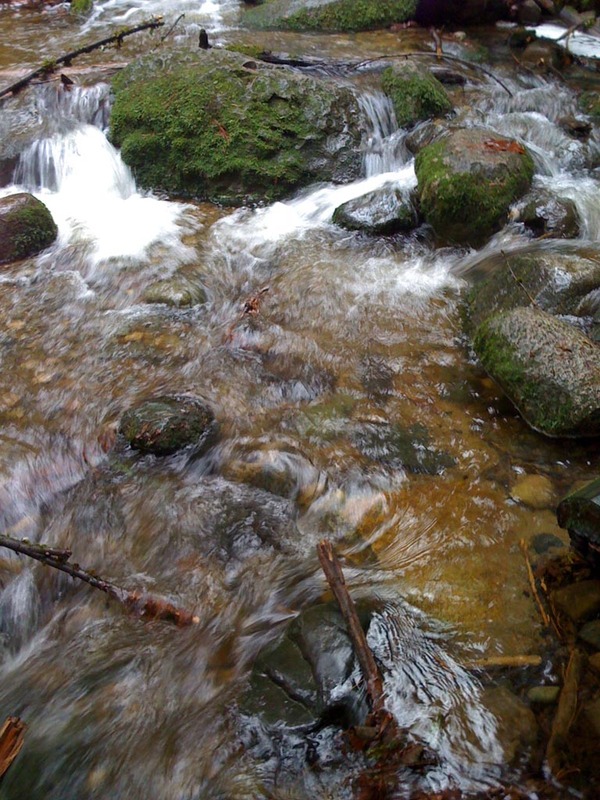 Coal Creek Falls Stream from Erik Persson on Vimeo. 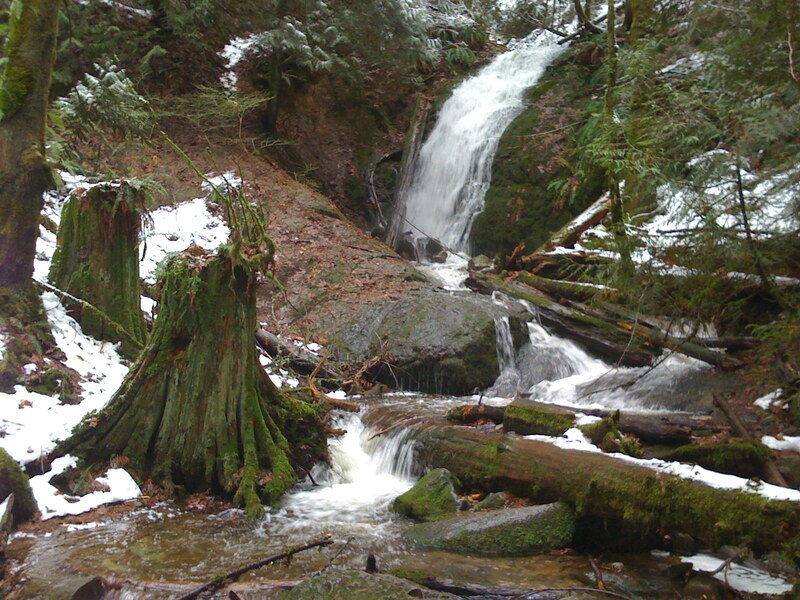 Over the weekend I hiked up to Coal Creek Falls in the Cougar Mountain Regional Wildland Park. 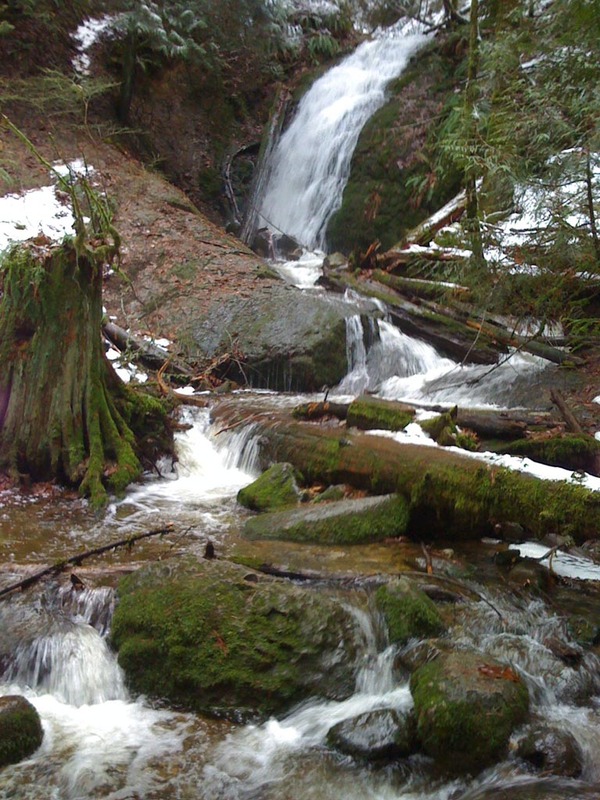 Its a nice little hike with this great looking waterfall & stream in the center of the trail. Look below for some more pictures. I’ll definitely be coming back with the Camera in the coming weeks. Total distance traveled was about 4 miles. Most of the hike is a super highway but it can get pretty muddy in some areas… Lots of people on the trail. 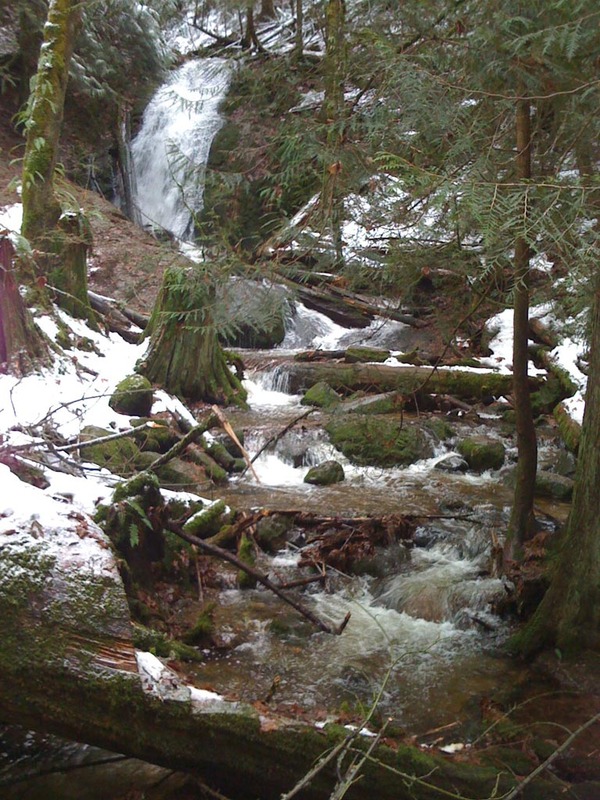 I originally found out about this trail through the Washington Trails Association, which is a cool website that lists all the great hiking trails throughout Washington state. 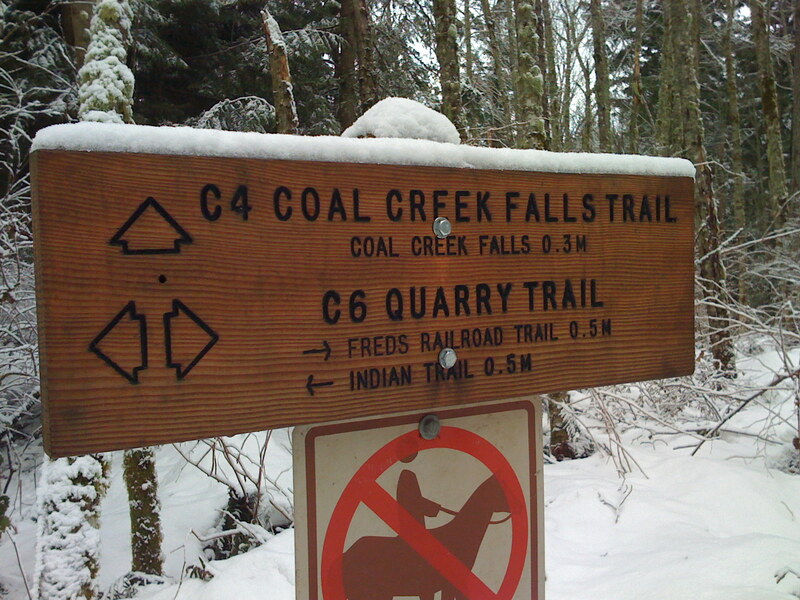 Here is their article about Coal Creek Falls, and here is an article about other great winter trails that I plan on hiking in the coming weeks. From Seattle, take I-90 east. At exit 13, go right onto Lakemont Boulevard SE and drive 3 miles. Just before a long bend in the road, go left into the parking area. Check out this awesome ceramic pinhole camera created by Steve Irvine. 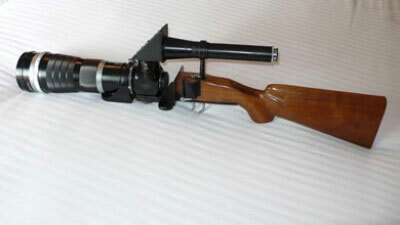 Yes, that’s a Leica gun camera. Looks like a blunderbuss to me. No idea when these were produced though I’d guess early 60’s at the latest. Anywho, Tamarkin is auctioning off this beauty late January 07 on ebay. It’s a camera with a crunchy wooden shell and a gooey digital filling! I like the unique look, though I wish the camera looked less like a planchette. Either way it’d be pretty cool to see a larger SLR camera with a wood shell. I wonder how much more this weighs with the wood. Anywho, Olympus just announced the camera today and they’re tightlipped about a release date. The Leica D-Lux 3 has a 28-112 F2.8 Lens on it. It has a nice figure at 4.2 x 2.3 x 1.0 in, with a weight of 7.8 ounces with the li-ion battery. 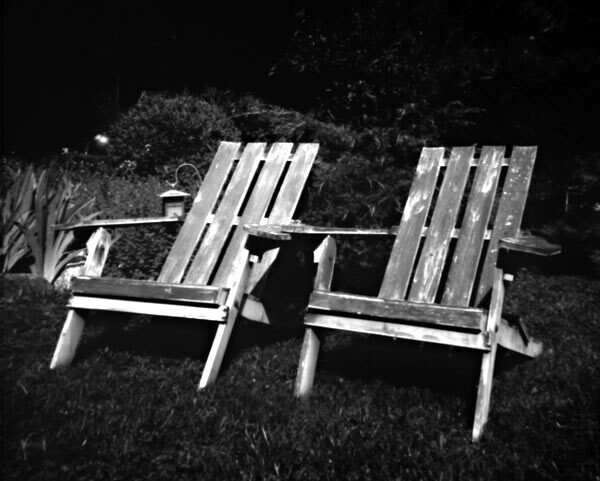 Personally I love the classic look.. Plus you can operate the shutter speed and every other setting manually. You can also shoot in either JPEG or RAW. If it had an actual viewfinder this thing would be perfect. No price or release date but it will probably be in the 700 dollar range. Full specs and info at Leica USA. Pretty compact and you can supposedly fit a laptop in it. Kata is also known for making body armor so thats a plus. Seems cool. Nice level of padding, plus it has shoulder straps and its easy to remove from the bag. The president of the company was formally Lowepro’s Lead designer, so he has some credentials. Nice size and its all incognito.